Cointreau is a cocktail cabinet staple that’s used to add flavours and aromas of sweet and bitter orange peels to cocktails from margaritas to the Sidecar and Cosmpoloitan (see below for recipes). 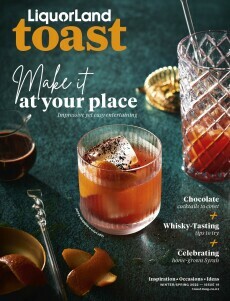 As we know here at Toast, home cocktail making has become hugely popular, as more and more of us stretch our skills and entertain increasingly at home. But if you’re wanting to turn your place into a free house for you and your friends, you’ll need the right kit. And while a shaker and fully-stocked cocktail cupboard (including of course some Cointreau) are essentials – nothing says “mixologist” more than having your own drinks trolley. Currently across New Zealand, Cointreau is giving Kiwis the chance to win their very own Cointreau drinks trolley when they buy classic cocktail essentials Cointreau, The Botanist Islay Dry Gin or Rémy Martin cognac. However this week here at Toast, Cointreau is also giving one extremely lucky reader the chance to win their own incredible Cointreau drinks trolley (pictured below). To enter the draw to win a Cointreau drinks trolley, click here.